In this post, you will find 5 reasons to visit Oban, Scotland and tips on how to get from Edinburgh to Oban. In the first weekend of June we went on a weekend road trip to the Isle of Skye and since the road was long, we decided to stay overnight in Oban and we loved it! We decided to go from Edinburgh to Oban, as we are based in Edinburgh. However, getting from Edinburgh to Oban is somewhat complicated, if you don’t have a car. The easiest way to get from Edinburgh to Oban is by train/bus to Glasgow and by train or bus from Glasgow to Oban! Or, alternatively, you could hire a car for a day. 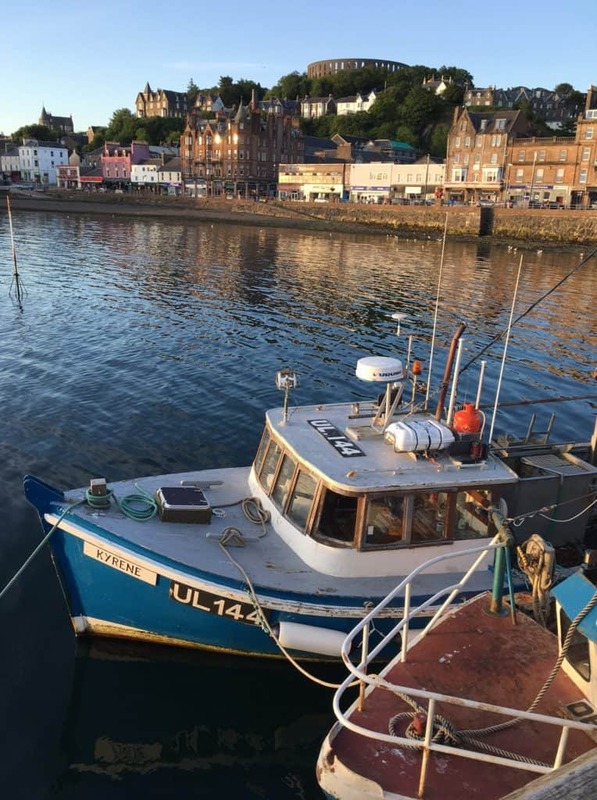 Oban is considered to be the seafood capital of Scotland – you can buy amazing fresh oysters, lobsters, mussels, crabs in the Oban Harbour, just a few meters from the Oban railway station. 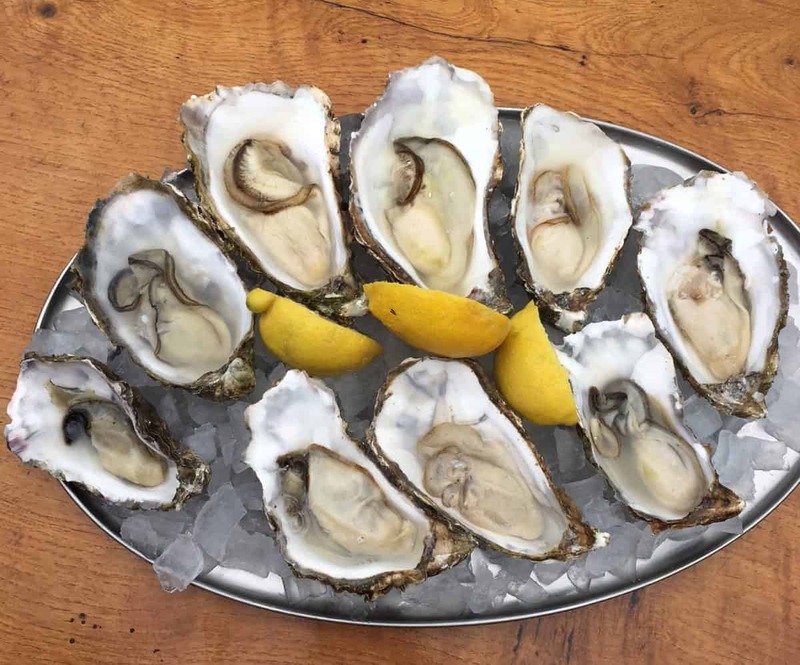 The prices are very low, for example, you can get 10 amazing large fresh oysters, opened specially for you and seasoned with lemon and vinegar (and even Tabasco, if you wish), for less than £9.5! Also, you can have a bag of amazing garlic mussels for just £3-4 and a live lobster for less than £8! I’ve seen cheaper prices only in big supermarkets in Scotland, but the freshness of the seafood in the supermarkets couldn’t be compared to Oban! Also, the fish & chips in local chippies were great! Don’t miss a chance to try them too! Another of the 5 reasons to visit Oban, Scotland is the active nightlife of the town. When we booked our accommodation in Oban, we couldn’t even imagine, that the band will play until 2 am in the pub under our windows and the pub/bar will close at 3 am. However, people continued partying on the street almost until 5 am, when it got already light. Of course, we weren’t happy about it, because we couldn’t party and had to wake up at 8 next day. In case you want to sleep, simply don’t repeat our mistakes and don’t stay in McCaig’s Return Hostel Oban. So if you want to party – you’re in the right place. Oban is also a great destination for hen or stag parties or even for birthdays! Oban Distillery is one of the oldest in Scotland and it’s also unique – it’s located right in the city centre of Oban. Thus, it couldn’t really expand over the last few hundreds of years. That is why the amount of whisky the Oban Distillery produces every year is quite low and the price of it – not so low. Don’t hesitate to visit the tour around the Distillery – for £10 you get 1-hour excursion and 2 tastings of whisky, one of which is pretty unique – you’ll get to try some very strong whisky right from the cask! And of course, you’ll get a branded glass as a present. Having visited the Famous Grouse Distillery before, I wasn’t surprised by the facilities in Oban, but nonetheless, the tour was great and it was interesting to compare the two distilleries. 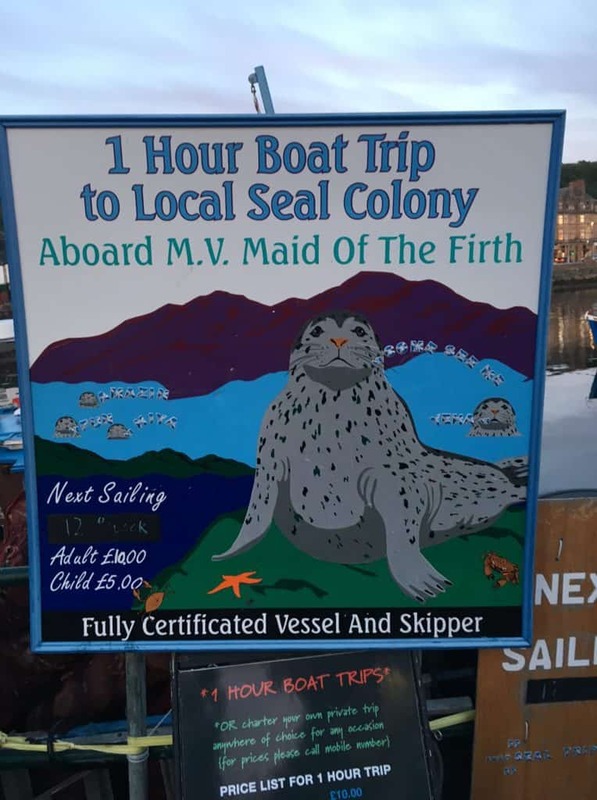 In case you’re coming to Oban for one full day or even for longer, don’t miss the opportunity to Take a cruise to see the seals and, during spring-early summer – puffins! Puffins are these cute birds with red and orange noses and you can see them only in some certain parts of Scotland (well, you can see them outside Scotland too, of course). Oban is not only famous for its whisky, its chocolate factory is also great! You can try some local handmade chocolate and compare it with world’s best – Swiss or Belgian. Check the page of Oban Chocolate Factory for more details – https://obanchocolate.co.uk. 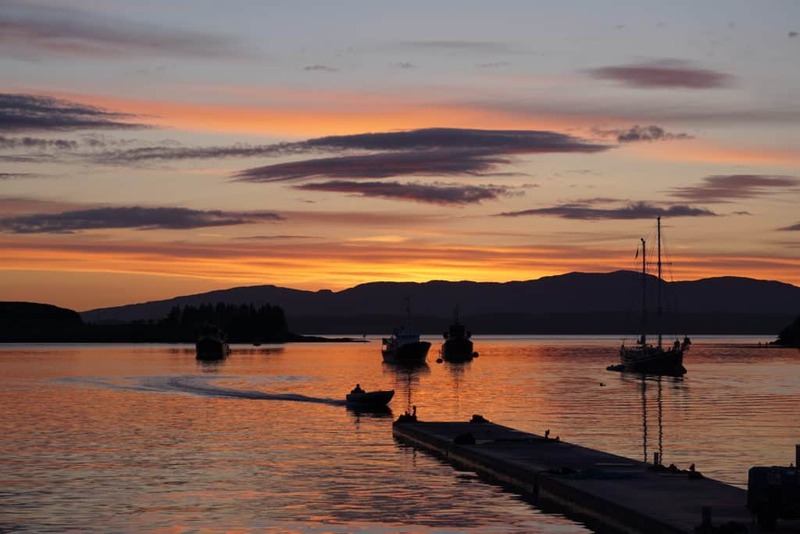 To summarise, I think there are way more reasons to visit Oban, Scotland, than these 5, for example, watch one of the most beautiful sunsets in the world or attend the festival, or even go on a cruise to the Isle of Mull. So in case, you’re hesitating, whether to go to Oban or not, don’t hesitate – it’s a wonderful place to visit and you won’t be disappointed! Or just check the latest deals in Oban! Interested in other cities/towns in Scotland? Check our Scotland post category for more interesting posts about this beautiful country. 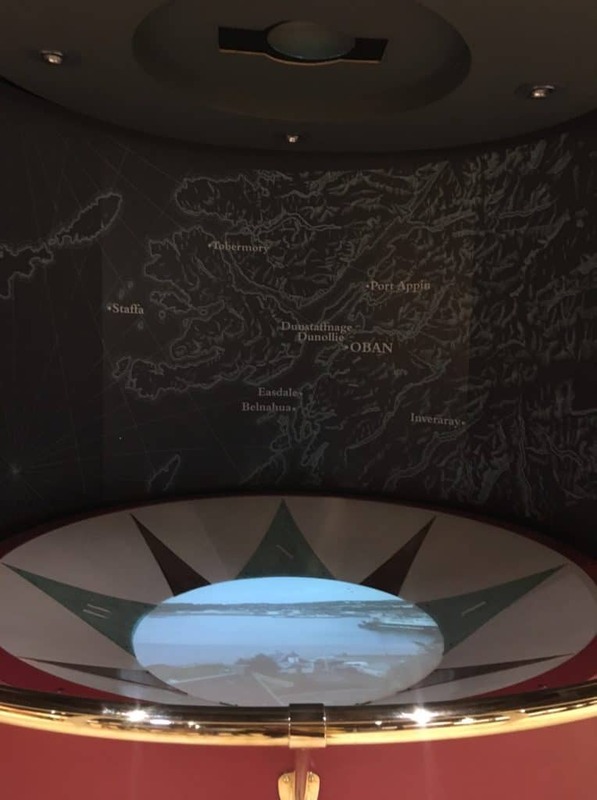 Liked this post about “5 reasons to visit Oban? Edinburgh to Oban, Scotland”? Share it on Social Media! And don’t forget to watch a video about our recent trip to the Isle of Skye and our visit to Oban! You missed the most important reason….to visit Parsley the minister for Cats. I’m in Oban now and I 100% agree with this article! There’s something about this place that is so magical. I get to experience my first fish and chips experience tonight and I’m counting down the seconds!